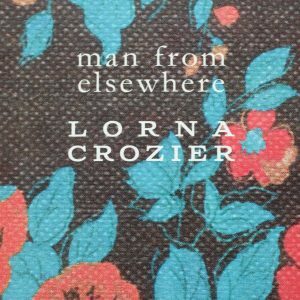 Lorna Crozier was born in 1948 in Swift Current, Saskatchewan. Her first collection Inside in the Sky was published in 1976. Since then, she has authored 14 books of poetry, including The Garden Going on Without Us, Angels of Flesh, Angels of Silence, Inventing the Hawk, winner of the 1992 Governor-General’s Award, Everything Arrives at the Light, Apocrypha of Light, What the Living Won’t Let Go, and most recently Whetstone. Lorna has also edited two non-fiction collections“ Desire in Seven Voices and Addiction: Notes from the Belly of the Beast. She published her memoirs, Small Beneath the Sky, in 2009. Her latest work is a collection of prose poems The Book Of Marvels; a Compendium of Everyday Things.